Volunteer at SWEAT MAKES CENTS and PRETTY GIRLS SWEAT to help shape bright futures! 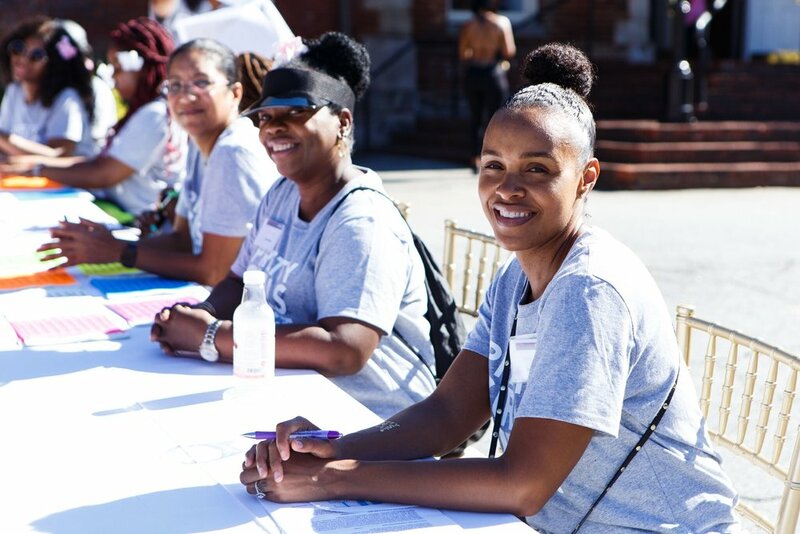 Our volunteers help make fitness fun, inspire girls to be leaders, introduce students to nontraditional careers, ensure our fundraising events are the highest quality, and get fit while giving back. Hosting a fitness fundraiser for SWEAT MAKES CENTS is a great way to invest sweat equity in your community! Organize a fitness class benefiting SWEAT MAKES CENTS at your office, school, or church or ask for donations in lieu of gifts for a birthday party. SWEAT MAKES CENTS relies on the support of both our corporate and individual donors. Through in-kind and monetary donations, event sponsorships, free access to fitness studios, complimentary fitness classes, merchandise, and healthy snacks, your company can make an impact.